Here are some cool, classic white kitchen designs ideas. White is beautiful and it helps in spreading a positive vibe across the house. 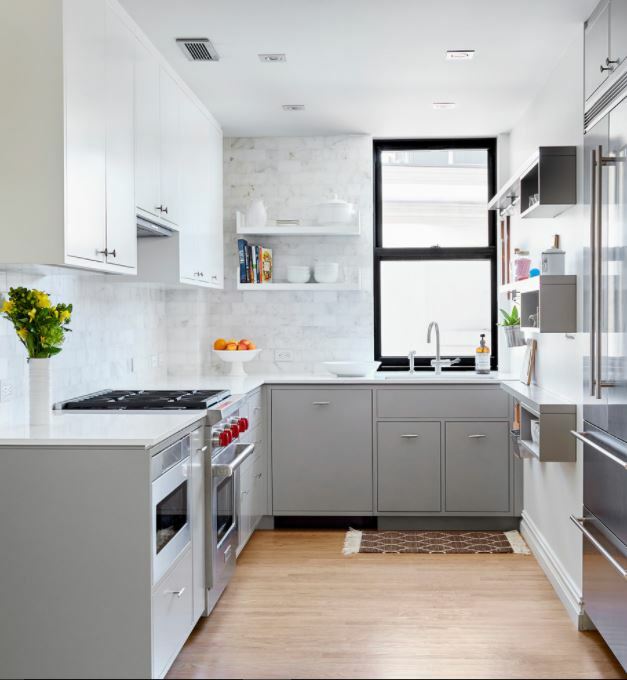 These white kitchen designs are perfect and have a clean clutter-free look. 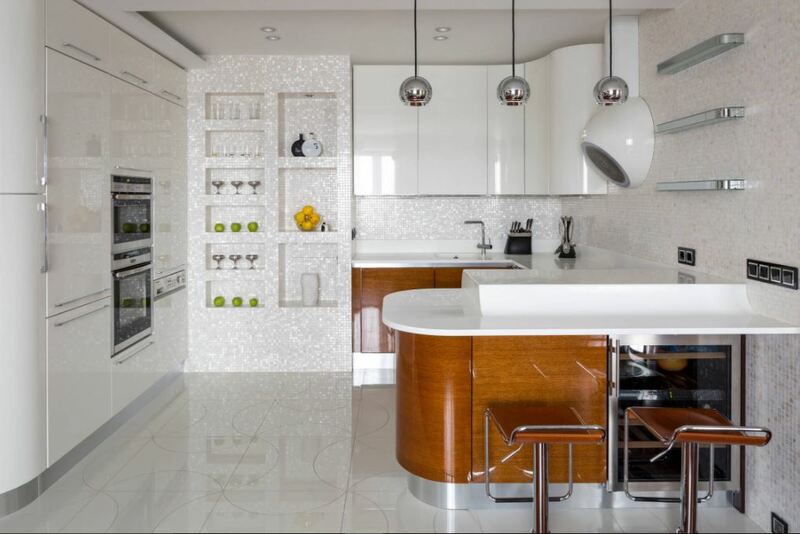 Check out this timeless white kitchen design. The huge windows offer all the required light and make this kitchen quite airy. Add a grey island and wood floor to get this clean sleek-looking kitchen. Here is a very peaceful kitchen. This L-shaped kitchen design has light grey lower and white upper cabinets. The countertop, walls and ceiling are done in white, this brightens up the entire space. 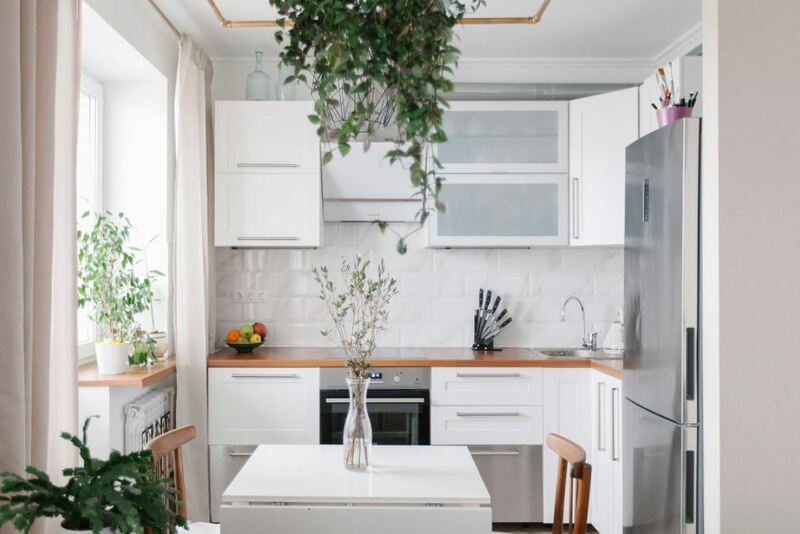 This is a small kitchen done up in a very beautiful way. Use of white color definitely makes it much more spacious and open. You can go for this Indian kitchen design with lots of cabinets and drawers. Add a couple of glass door cabinets above the black granite countertop. Combination of white island, cabinets and drawers with a bit of woodwork make this a great looking kitchen. 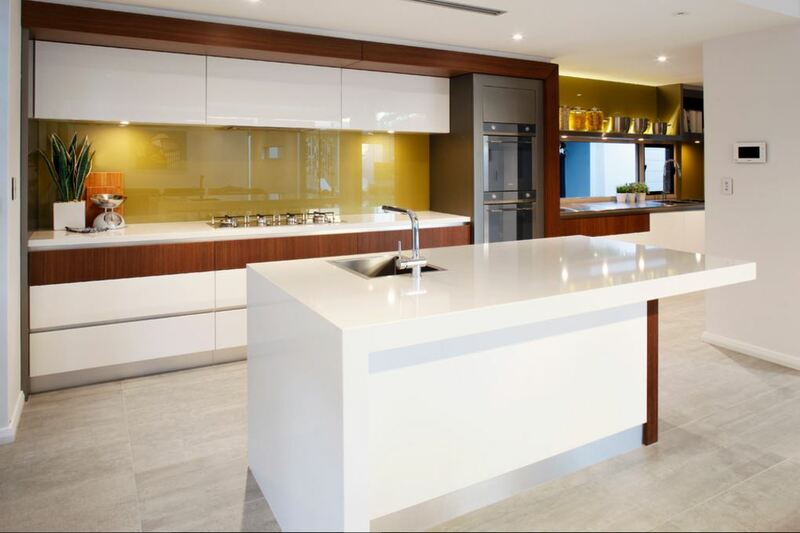 Add mustard colored glass backsplash to it to increase its aesthetic appeal. 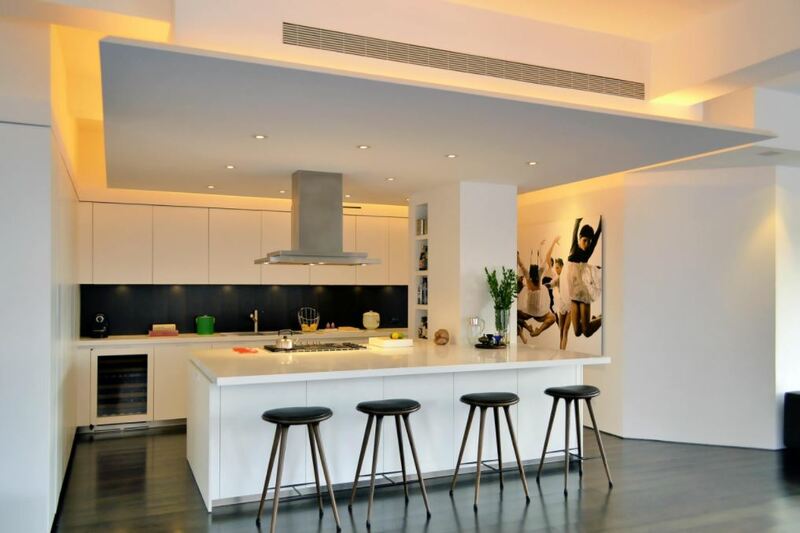 This kitchen design in white is absolutely amazing. Go for dark backsplash and flooring. I love the suspended ceiling and the artwork. Designing a small kitchen is never easy. Keeping it bright is the key and white works really well. Add a white breakfast table and a couple of chairs on one side. What a lovely kitchen! 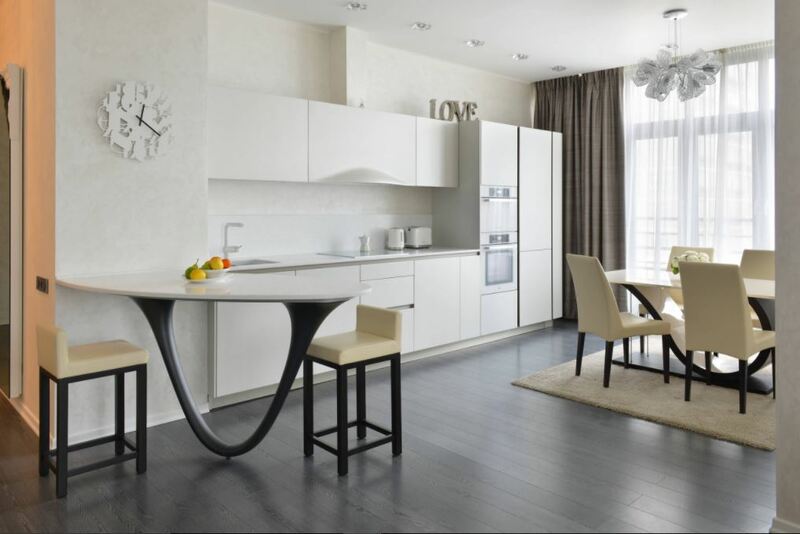 Pick glossy flat cabinet designs to make it a bit more interesting. 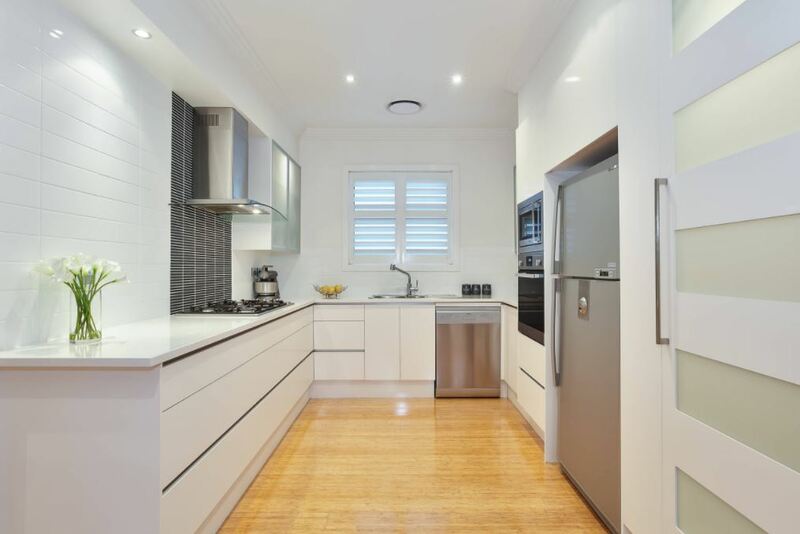 The only thing that breaks the monotony of this stark white kitchen is the black appliances and the wooden flooring. 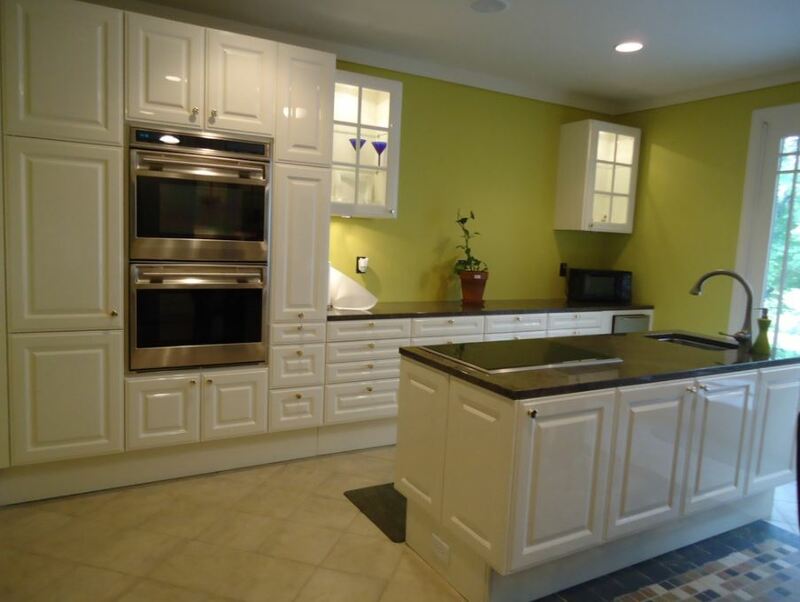 Adding some color won’t hurt your white kitchen designs ideas. 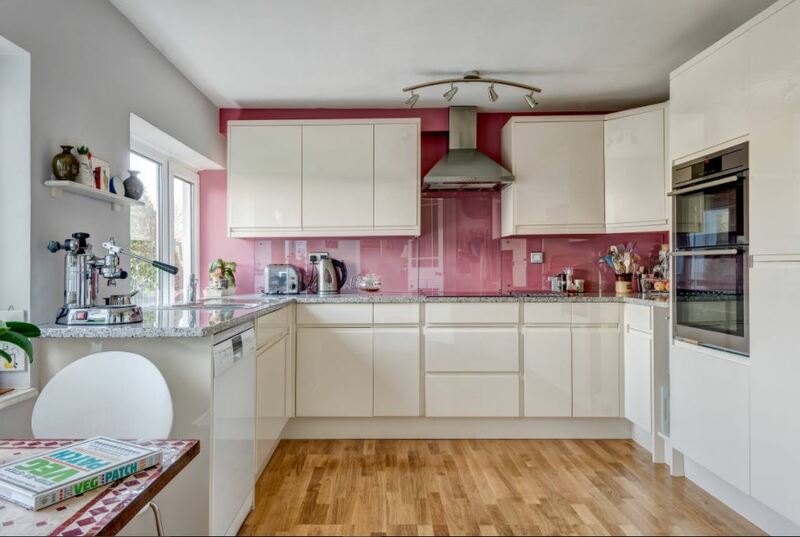 Pop some color by going for a pink backsplash. It can give a refreshing look to your kitchen interiors. 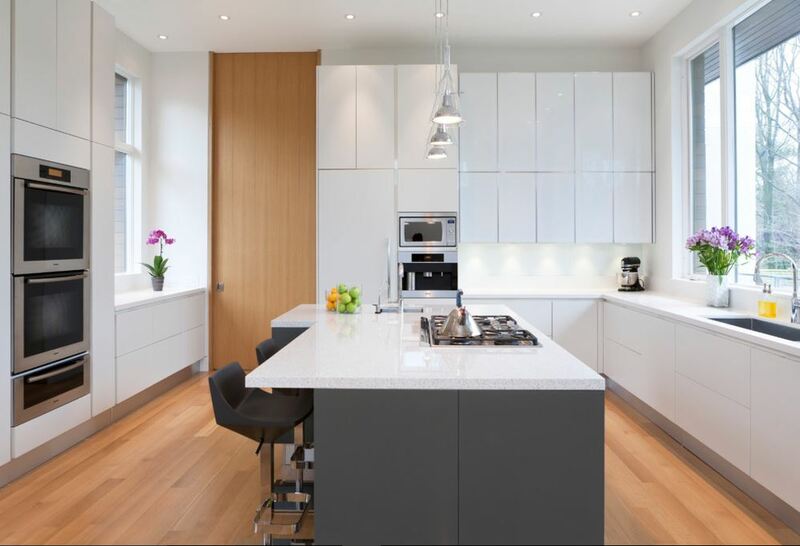 Here is a minimalist looking kitchen design with clean straight lines. Add a walnut panel to hang your television on it. Choose stainless steel appliances and a white fridge to fit in there. 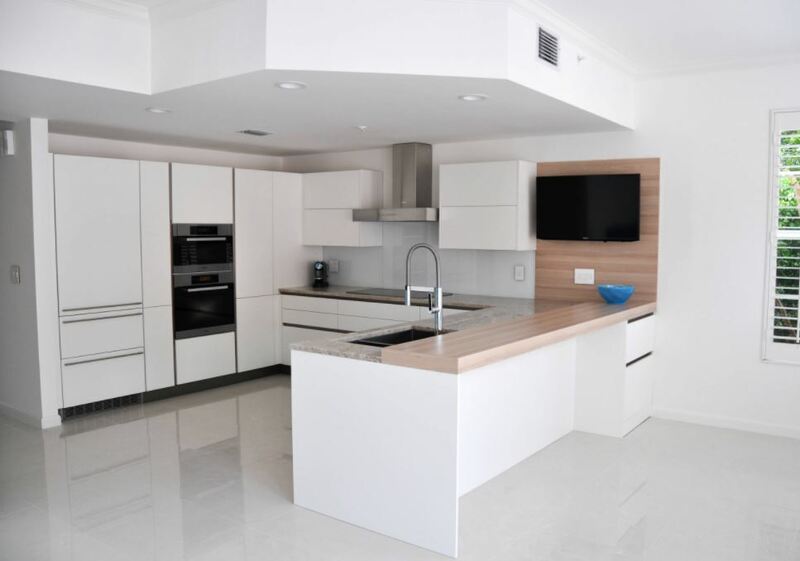 Take a look at this all white kitchen design with dark wood flooring. 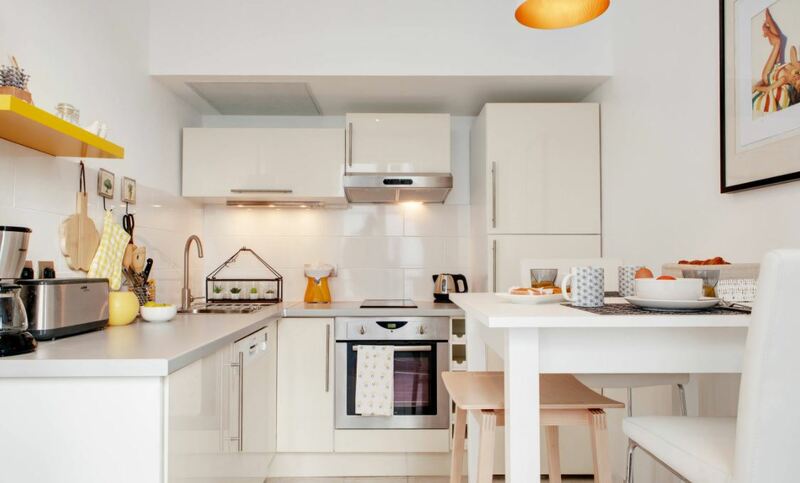 This one-wall kitchen is a space saver and is ideal for apartments and small homes. Adding some shimmer and shine can enhance the look of your kitchen. Create multiple niches in the wall and decorate it by placing your knick-knacks. 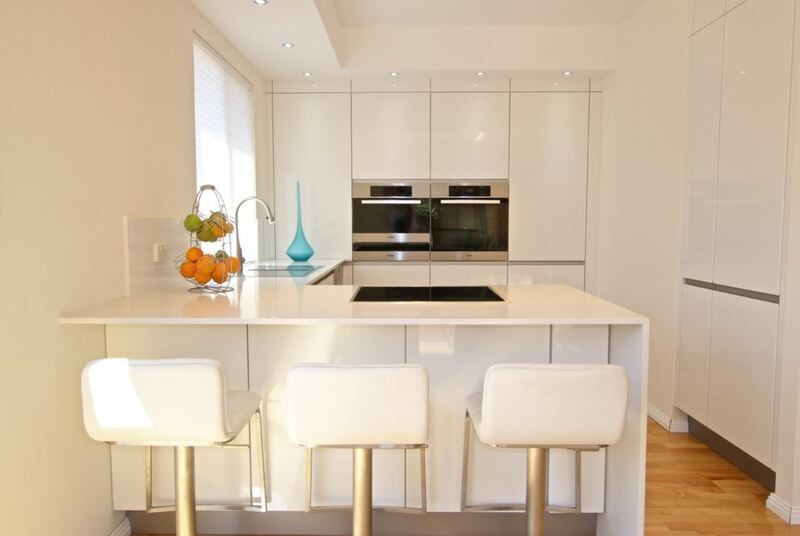 This is a beautiful narrow kitchen space that is extremely efficient and well planned. It has engineered white countertop and charcoal floor tiles. I love this kitchen – color, lights, windows and the view. Working in this amazing kitchen must feel like a dream come true. 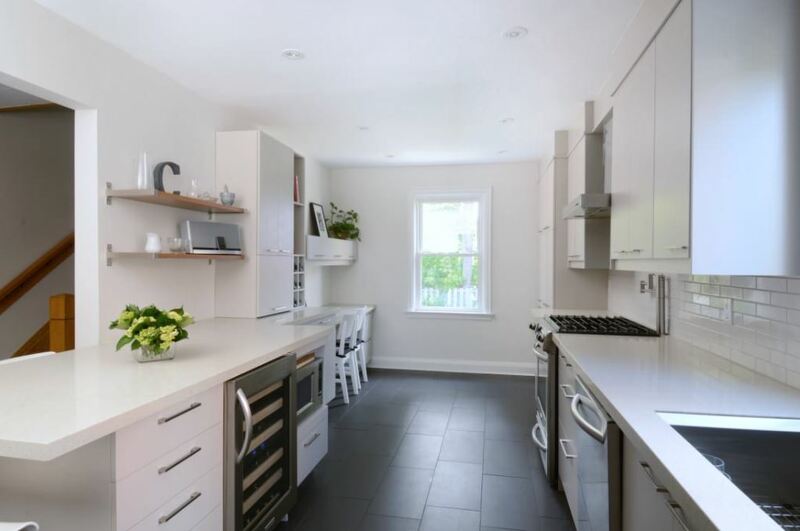 This is a simple galley kitchen design in white. It is a good idea to have light-colored floor and white walls. It makes the space beaming and happy. This entry was posted in Kitchen, Kitchen Designs and tagged Indian Kitchen Designs, Kitchen Design, Kitchen Design Idea, Kitchen Design Ideas, Kitchen Designs, Kitchen Designs Idea, Kitchen Designs Ideas, Kitchen Designs in White, Kitchen Designs with White Interiors, Kitchen Ideas, Simple Kitchen Designs, Small Kitchen Designs, White Contemporary Kitchen Designs, White Kitchen Designs, White Modern Kitchen Designs, White Transitional Kitchen Designs by Homemakeover. Bookmark the permalink.